DYNAMOS have confirmed the capture of midfielder Kelvin Bulaji from arch-rivals Caps United and the league champions are also set to announce a number of other signings by the end of the day today. Club secretary general Webster Chikengezha yesterday said the 21-year old creative midfielder who is also comfortable playing as a striker has penned a two year deal with the Glamour Boys. "Kelvin signed the contract sometime last month. It's a two year deal and I can confirm he is a Dynamos player now. He is the only player we have signed so far," said Chikengezha. Bulaji is seen as an ideal replacement for the departing Ronald Chitiyo who is heading for South African Division One side Royal Eagles. The Harare giants who parted way with coach Kalisto Pasuwa last month and replaced him with David Mandigora have been very busy on the transfer market during the festive season as they look to bolster their squad ahead of the upcoming season. Chikengezha said they are currently negotiating with a number of new prospective players, and at the same time trying to retain some of their players whose contracts are dying at the end of the year. While he refused to give out names of new players who are heading for Dynamos a source yesterday revealed that negotiations with players such as Bulaji's former teammate at Caps United Dominic Chungwa, Danny Phiri of Chicken Inn and utility player Godknows Murwira of Shabanie Mine are already at an advanced stage. The source said the trio are expected to put ink on the dotted line this morning and the deals will be announced later today. Another source said Dynamos were also chasing Hwange's highly rated striker Evans Rusike, but a frosty relation emanating from previous botched deal, hampered negotiations. The source added that the club still harbour interests in Highlanders forward Charles Sibanda, and hoped to sign him if he failed to get a contract at South African premiership side Maritzburg United where he is currently undergoing trials. 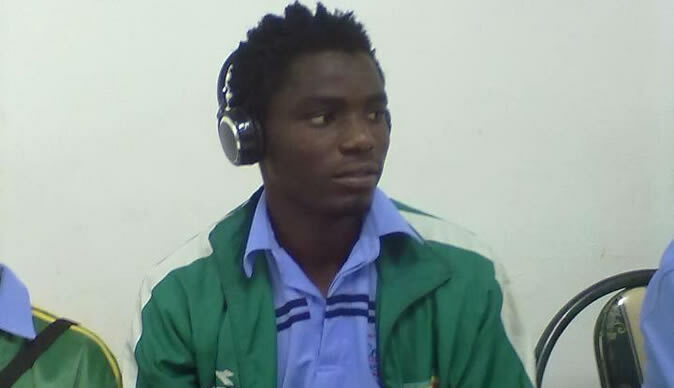 Sibanda, the winner of the Golden Boot Award in the just-ended season after scoring 12 goals, and also voted as one of the country's finest 11 players, has publicly stated his desire to relocate to the capital when his contract with Bosso expires on December 31. A number of Dynamos players also have their contracts expiring at the end of the year and negotiations, according to Chikengezha, begin this morning. Some of the high profile names affected but whose services are still required include strikers Simba Sithole and Rodreck Mutuma, midfielders Russell Madamombe, Tafadzwa Rusike and Devon Chafa and defender Ocean Mushure. Defender Themba Ndlovu has already left for Harare City. "We are currently negotiating with players who are currently out of contracts at their respective clubs. As a club we have resolved that we are not going to pay any transfer fee this time around. We are currently negotiating with a number of players and we are meeting some of them tomorrow to finalise the deals," said Chikengezha. He added, "There are some players who have their contracts expiring and we are willing to retain them so we have put forward our offers to their managers. We should be meeting some of them tomorrow (today), but we will not pay any extraordinary fee for any player at this transfer window period." On Evans' possible move to Harare, Chikengezha said, "I understand he still has a contract with Hwange so he is definitely not in the radar." Dynamos are also reportedly on a massive player cleanout with the futures of Tawanda Muparati, Patrick Kumbula, Sidney Linyama, Fabrice Mbimba, Thomas Magorimbo, Oscar Machapa, Murape Murape and Clive Kawinga very much uncertain.